Amid all the paradigm-smashing changes in television of late, things have, in many ways, stayed the same. A few decades ago, traditional TV types were scared to death about the incursion of a new competitor. And before they started fighting over retrans spoils, networks and affiliates engaged in bloody battles over broadcast networks investing in that competitive upstart, cable TV—none more so than NBC. It’s all there in former NBCU CEO Bob Wright’s The Wright Stuff, an insightful and often entertaining look at cable TV’s emergence, the life and death of Must-See TV, and the growth of NBC from a broadcast network to the centerpiece of a global media conglomerate, from someone sitting at the head of the boardroom table. The book’s subtitle is “From NBC to Autism Speaks”. Besides Wright, who wrote the work with Diane Mermigas, dishing about deal-making, he details his deeply personal fight to spread awareness about autism (Wright’s grandson is autistic). 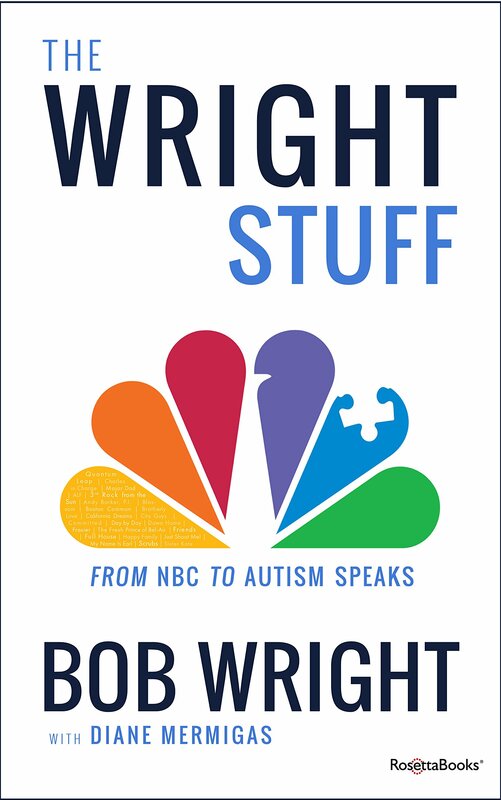 The Wright Stuff is part oral history and part business book (Wright offers professorial lessons under the “Wright to the Point” rubric), and is also about the challenges of getting a charity-oriented, and at times controversial, passion project off the ground. Those offering their testimonials about critical moments in NBC history—the Universal acquisition, the launch of CNBC and MSNBC, securing Olympics rights—remind us of just how much brainpower resided in 30 Rock, including Brandon Burgess, David Zaslav, Randy Falco and Tom Rogers. One particularly insightful chapter severely tests Wright’s leadership: a 1992 scandal involving NBC News’ “rogue report” about General Motors on Dateline that crushed the news outfit’s credibility. Then-news president Michael Gartner resigned, and Wright apologized to affiliates. Just as he was in 2014 following anchor Brian Williams’ fabrications, Andrew Lack was brought in to fix the listing NBC News ship. Less compelling, at least to those in the TV industry, is the book’s final third, about getting Autism Speaks off the ground. Yet it shows a different side of Wright, and also gives his wife Suzanne a chance to show her drive and outsized personality. The well publicized divide between the Wrights and their daughter Katie over the relationship between vaccines and autism is particularly heart wrenching. Wright’s prose doesn’t quite sparkle, and the oral history parts often see his old colleagues lay on the compliments about their old boss, which feels out of place in a book authored by Wright. But the TV titan’s good nature is evident on the page. The Wright Stuff is a worthwhile historical account of TV staring down a grave challenge to its status quo—years before anyone had heard of the DVR or Netflix.